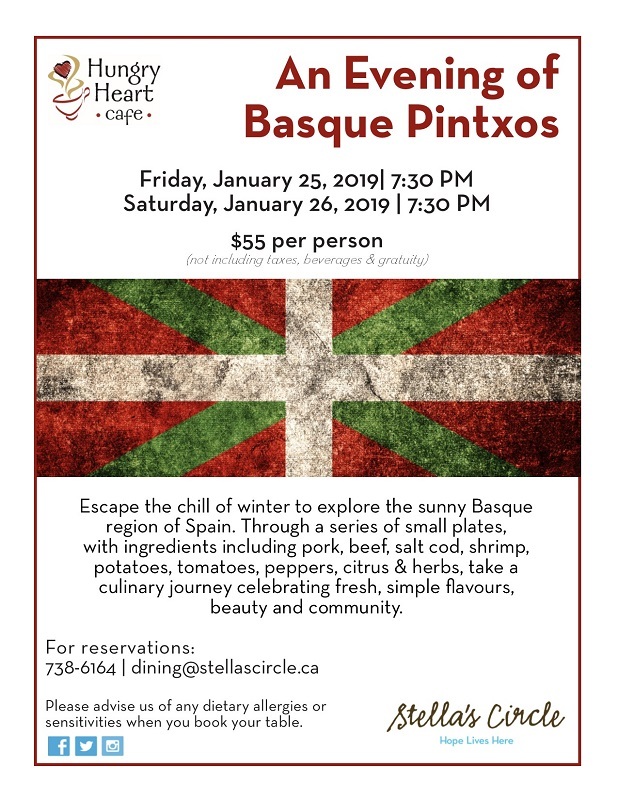 Join us on January 25 & 26 as we present An Evening of Basque Pinxtos (Tapas). Escape the chill of winter to explore the sunny Basque region of Spain. Through a series of small plates, with ingredients including pork, beef, salt cod, shrimp, potatoes, tomatoes, peppers, citrus & herbs, take a culinary journey celebrating fresh, simple flavours, beauty and community.